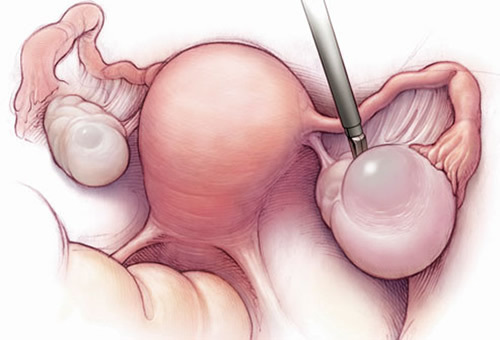 Ovarian cysts are most often fluid-filled growths of the ovaries. They can be functional (not cancerous), neoplastic (benign or cancerous), or endometriotic (also called endometriomas or chocolate cysts, which are very rarely cancerous). Before initiating treatment, a physician should take into consideration the size and appearance of the cyst on an ultrasound exam, the patient’s age, presence or absence of symptoms, and any risk factors. If a cyst is discovered in a woman of reproductive age, it is most commonly the functional type; endometriotic cysts are the second most common type. 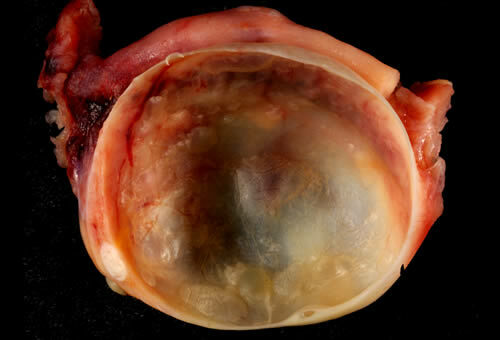 Neoplastic cysts are the least common type in this age group. The lifetime risk for a woman developing ovarian cancer is less than 2%. Best treatment recommended for improved fertility, relief of pain, and to minimize recurrences is a cystectomy (excision of the cyst). This surgery is performed in our center using minimally invasive (laparoscopic) surgery. 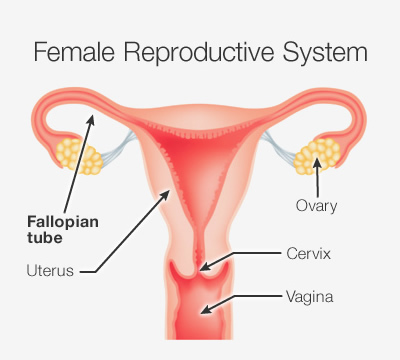 Note: Click here for more detailed information about Endometriotic Ovarian Cysts or Endometriomas. 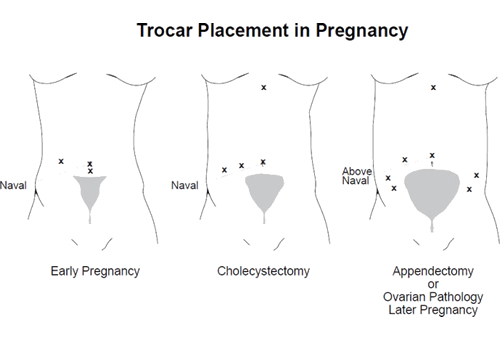 Ovaries containing large cysts may undergo torsion (twisting around their base), which results in arrest of blood flow to the ovary and severe pain. Torsion requires emergency surgery. Cysts that remain unchanged or grow over a period of observation most often need surgical removal. Sizes of cysts range from a few mm to over 30 cm (1 foot). In general, most cysts over 8cm, regardless of appearance, have to be removed. Surgeries to treat ovarian cysts are quite common. However, it takes uncommonly advanced surgical skill to treat this condition in a minimally invasive manner without compromising fertility, without causing more pain or scar tissue, and without increasing the risks for the cysts to recur. Unfortunately, some surgeons are still using outdated technologies and techniques for treating ovarian cysts which studies have shown can cause these and other long-term complications, including increases in pain and/or compromised fertility by damaging a woman’s ovarian reserve. That’s why it’s important to ensure that your surgeon not only has advanced laparoscopic skills, but also has available the most modern surgical equipment (and is trained to use them). Click here for our full article on ovarian cysts, which includes the latest research and best ways to safely treat them. Or just send us a note at office@camrannezhatinstitute.com, if you would like to receive additional medical articles on the treatment of endometriomas or other ovarian cysts.